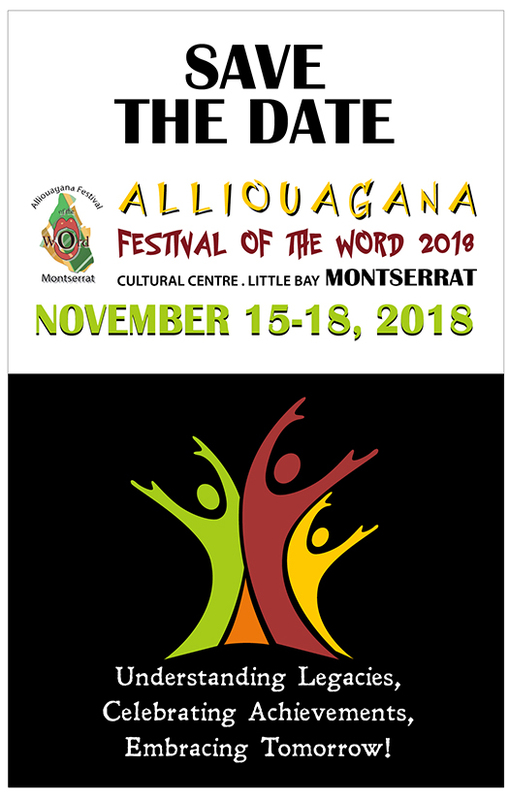 The theme of this the 10th Alliouagana Festival of the Word (AFW) Understanding Legacies, Celebrating Achievements, Embracing Tomorrow is one that will allow participants to consider issues and events by looking back, seeing what is happening now and looking forward. Such a three way view hopefully will encourage positive plans without denying the painful past and current challenges of our small island state within a rather troubled world. In addition to AFW being a decade old, this year we celebrate the 10th year of operation of The University of the West Indies (UWI) Open Campus, and the 70th anniversary of The UWI itself. To mark all these milestones, we are honoured to welcome as Patron of AFW 2018, the Vice-Chancellor of The UWI, Sir Hilary Beckles. As befits this year of celebrations, citations of recognition will be presented in Sir Hilary’s presence. Since its inception, AFW has benefitted greatly from both moral and tangible support from the University. Then Principal of the Open Campus, Professor Hazel Simmons-MacDonald and Dr. Luz Longsworth, then Director of the Open Campus Country Sites and now Pro-Vice Chancellor and Principal of the Open Campus both participated in the 2009 Festival. While it has had the benefit of grants in the early years, the Festival has been sustained in recent years by a much appreciated annual subvention from the Government of Montserrat through the Montserrat Arts Council. Other Government entities and the private sector have also provided funding. Grateful thanks for financial support are extended to all. Another source of funding for the Festival is the publication of a Souvenir Booklet. We solicit funds from advertisers in the booklet and will also be selling it for a nominal EC$10.00. This year’s booklet is a bumper one covering three years of AFW activity and is chock full of stories written largely by and about Montserratians that you will not want to miss. To help explore our theme, we have invited some special guests from overseas to join local luminaries. A-dZiko Simba Gegele, Barbara Arrindell and Sarah Dickinson who were here for the 2017 Festival are back on the programme to engage in new ways. We are also delighted to have Professor Carolyn Cooper and David Edgecombe once again. It is significant that all four along with Professor Sir Howard Fergus were part of the staging of the very first Literary Festival. We are pleased to welcome Shujah Reiph who organises the St. Martin’s Book Fair, N.C. Marks from St. Vincent and Chedmond Browne, local political and social activist. And if you would like to explore this year’s theme in more depth, Montserrat’s Chief Librarian has put together an exhibit in the Public Library of related material from the collection. You will be able to check out these books after the exhibit closes. Following last year’s successful cooperation between AFW and the Ministry of Education’s Reading Week, there will be another Pre-Festival activity involving the riveting storyteller A-dZiko teaching these skills to youngsters in the primary schools on Wednesday, November 14. Next day also, there will be another Book Parade along with motivational talks by Barbara Arrindell from Antigua and Shujah Reiph from St. Martin. On Thursday evening, Prof Carolyn Cooper who drew a large and enthusiastic crowd for her 2009 presentation here entitled Sweet and Sour Sauce: Sexual Politics in Jamaican Dancehall Culture will deliver the Alphonso “Arrow” Cassell Memorial Lecture on the topic Making Work: Capital Investment in the Creative/Cultural Industries. She will follow this up with a visit next day to the Montserrat Community College (MCC), while David Edgecombe will be talking with Montserrat Secondary School students. Friday evening is the official opening of AFW 2018 and will feature an address by the Patron, Sir Hilary Beckles on the topic What Next for Caribbean People?, book launches and more. Saturday and Sunday will be filled with workshops and presentations some at the Cultural Centre and some at the Open Campus – for details see the official programme on this website – as well as a number of events that have become staples because of their popularity. These include the HarperCollins sponsored Spelling Bee and Reading Competitionand Word Up – A Spoken Word and Storytelling Slam at MCC. A Literary Festival is an opportunity to enjoy presenters who know how to use language expertly and who do so to talk and write about important issues. But it is also a time for all those who come to hear the invited guests to let their thoughts be known and their voices be heard. We need you there. If you would like to donate to the Alliouagana Festival of the Word, please click the “Donate Now” button below.